MandA Homes design/build services far exceed the intricacies of building a new home. 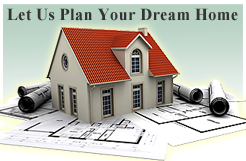 We provide professional and expertise guidance to our clients that begins at the property purchasing phase. We work closely with and inform our clients in order to empower them with information that enables them to make sound decisions that suit their building needs. We specialize in waterfront, sensitive areas, and otherwise challenging properties, while also providing consulting services to our clients when they are in the process of purchasing these properties. We work with both large and small parcels in urban, suburban, or rural settings. We work closely with building departments, architects, engineers, and real estate agents during the acquisition stage and continue those relationships throughout the entire building project. Most importantly, we provide our clients with detailed and accurate estimates encompassed within a comprehensive booklet outlining and specifying pinpointed costs. Our clients know exactly what they are paying for. MandA Homes extensive experience ensures quality craftsmanship of the highest degree with extreme attention to detail. We provide innovative, environmentally friendly ideas, and designs with cutting edge technology, all within the parameters of the most cost effective approach. MandA Homes has remodeled homes all over the greater Seattle area and Eastern Washington. Our experience with both old and newer homes undergoing remodeling has enhanced our expertise in literally every remodeling project. Whether it is a new kitchen, bathroom, deck, addition or any other remodeling project undertaking, MandA Homes has the knowledge and experience to make your home project a successful one. MandA Homes works with a group of architects who consistently provide creative and workable designs for your project. MandA Homes is ready to meet with you and discuss your ideas and help you bring those ideas to reality by working with our highly skilled and experienced architectural team.